When The Going Get Tough…The Tuff gets going ! 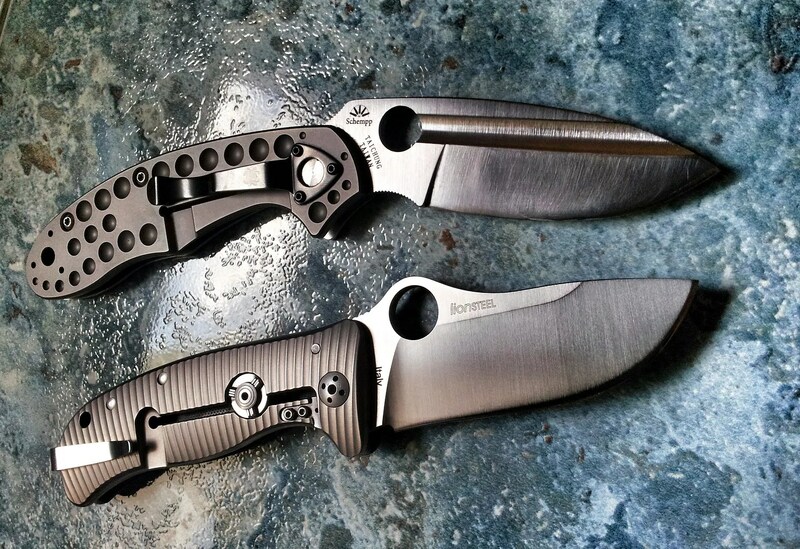 I have witnessed the evolution of that knife since the first prototype in 2005. The beautiful fuller was already its signature and I felt, this was a great complement to the hole for opening purpose. For descriptions and length and weight, please use the link above. 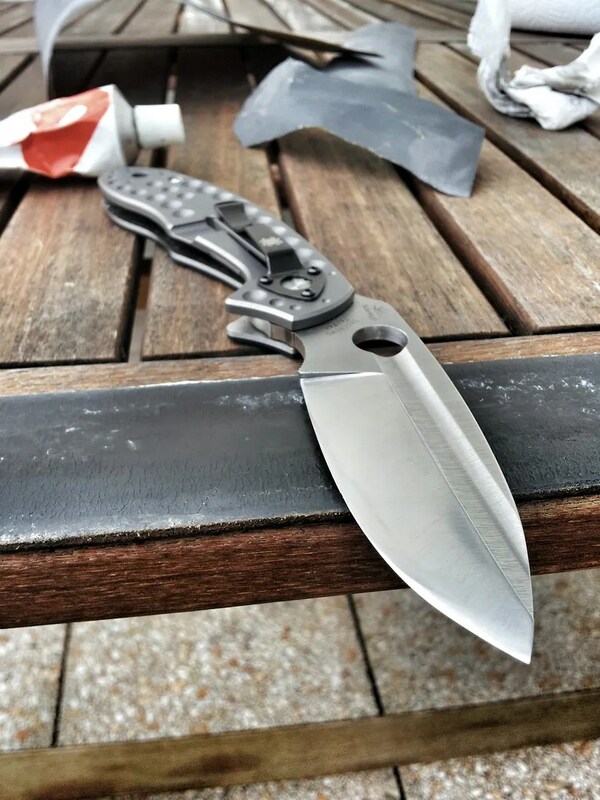 This folder is not my first “heavy duty folding tool”, but certainly one of the most solid. The Gayle Bradley is an hard used cutter. My Lionspy is another great contender as I have used it as a light chopper many times. But the heft of the Tuff is making that Ed Schempp designed knife a great woodman folding companion, in my own humble opinion. It’s unique. Because I enjoy being able to process wood with some light equipment: my Cold Steel Voyager, my Lionspy and now my Tuff are able to work quick as light chopping tools. Of course it won’t replace a hatchet, a machette, a campknife. But they are a folding “attempt” to create reliable hard used knives. The new fashion in folding cutlery. Tactical means nothing. Hard used knife means everything. My tuff has been named “Varicelle” or “Smallpox” in French. Why ? Because of its handle. All those “bubbles” give it some kind of steampunk look. Once closed, you recognized the attention for details of Ed Schempp. Varicelle looks like a perfect oval. It’s a beautiful object even if the beauty is in the eye of the beholder. 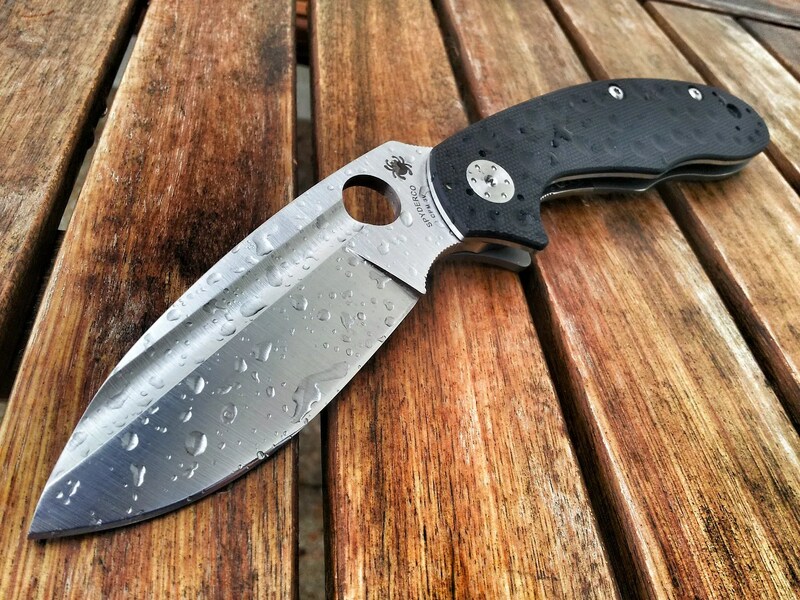 Just look at that mega huge screw pivot, that massive stop pin, that unique fuller on that thick blade, everything in this knife screams toughness. Once open, you feel that you are holding a tool not a weapon. Even if the balance is perfect with a sweet spot under your index. 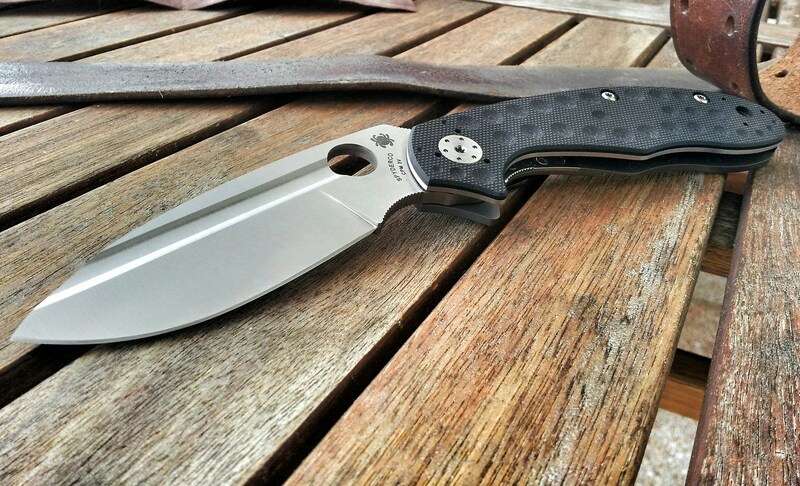 This knife has been created to be a reliable companion toward the hardest situation a folder can withstand in a…. farm ! And what is useful in a farm can be useful everywhere. But, thinking about it: the most famous martial artists weapons were initiated by farm tools. CPMS3V is a really tough steel. It’s another crucible powder steel. I love the behavior of that steel and its forgiveness toward my clumsiness. I cherish a great BRKT Bravo and I love how its convexed edge is easy to maintain while being a true laser. Oh I love that powder manufactured steel. It’s not stainless, but it’s a fine grain tool steel which can stand a lot of abuses. 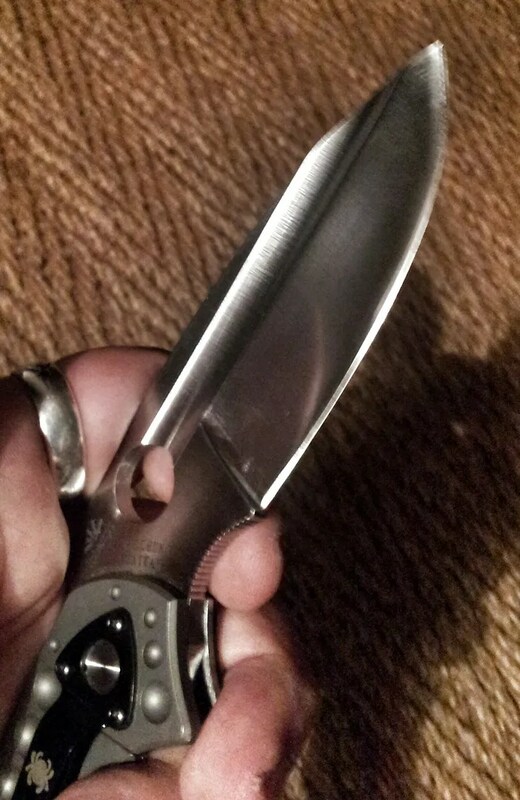 Having the chance to carry “that” steel on a folding knife is absolutely rare. Another Spyderco premiere. I had the purpose of convexing my Tuff as I knew how easy that tough alloy was with leather stropping. So Varicelle has been slowly convexed. Using elbow’s oil mainly. Eventually the blade on the Tuff is longer than the edge. Again the mighty choil is another Ed Schemp signature like on my Navaja. You can hold your knife by the blade only, helped by the fuller and the choil, the hardest jobs can be soft on the lock and pivot. The edge is making that knife very legal. It’s not threatening. Again you got a tool in your hand not a serial killer nightmare. But again Kukris are great tools tunred into weapons. The Tuff’s designer was focus on some kind of G-Shock folder. Not a self defense device. Not a sentry removal tool. 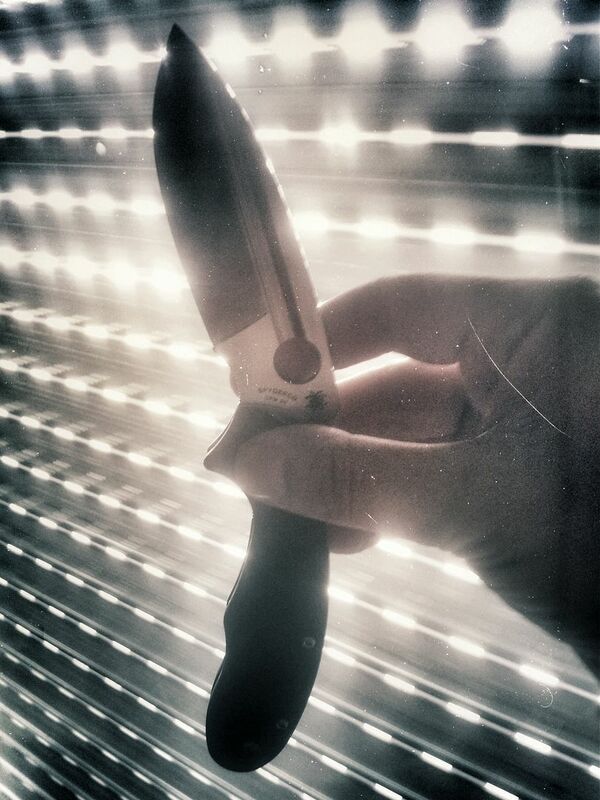 The Tuff is just a gentleman farmer’s knife designed by one. By the way, I don’t have any problem to open it fast. I have changed the clip position to tip down carry. 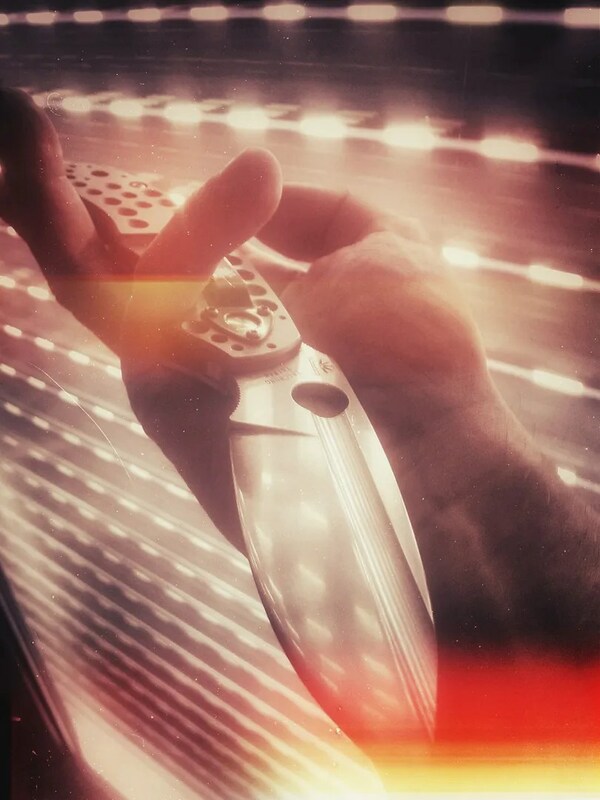 Now I can spyderdrop it, holding the blade by the hole and the fuller. It’s as easy and smooth as with my Millie. The heavy handle helps a lot. 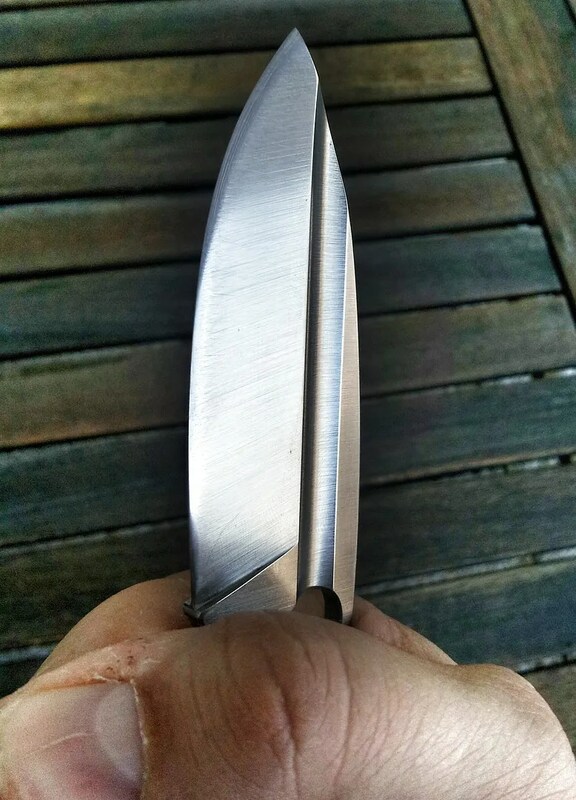 The lock bar can be harder than other knives. I won’t mind. The closing is even easier than on my Lionspy. 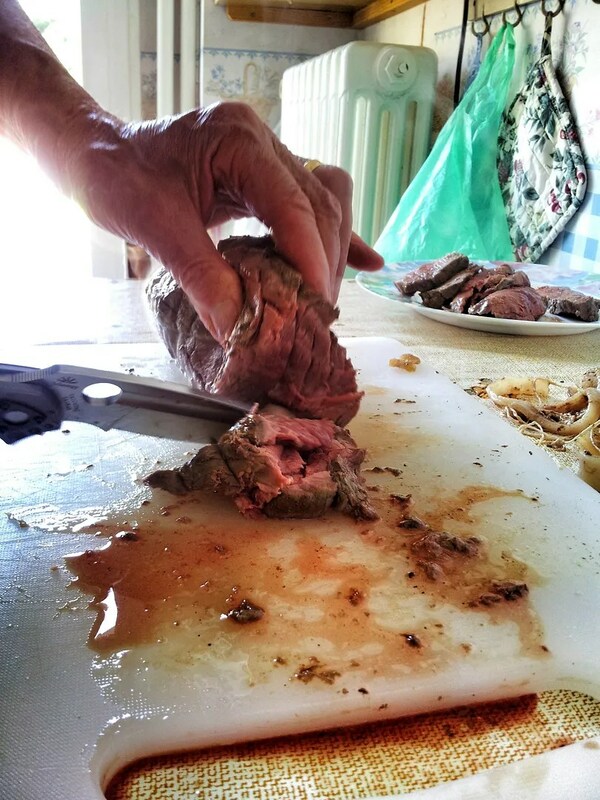 The meat of my thumb catches the lock release with ease. So I can open it fast and close it fast which is a must in safety for hard used tools in difficult environment. 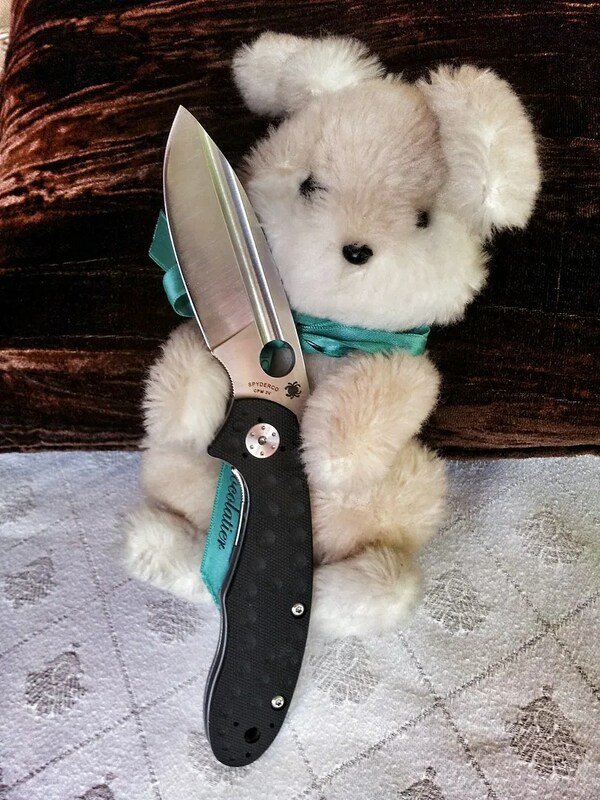 My tuff is reliable. Easy to put in play and easy to remove from sight. This is all I ask from my folders. So what do you got ? A CPMS3V folder with RIL Lock in a compact package offering great ergos while open. Now will come the time of testing.